The Naturepedic Organic Cotton Quilted Deluxe will grow with your child for many years while providing a more natural, healthy and comfortable sleep environment. The luxuriously quilted organic cotton surface offers a comfortable cushion firm feel. A premium medium-firm innerspring and strong edge support provide long lasting durability and comfort. 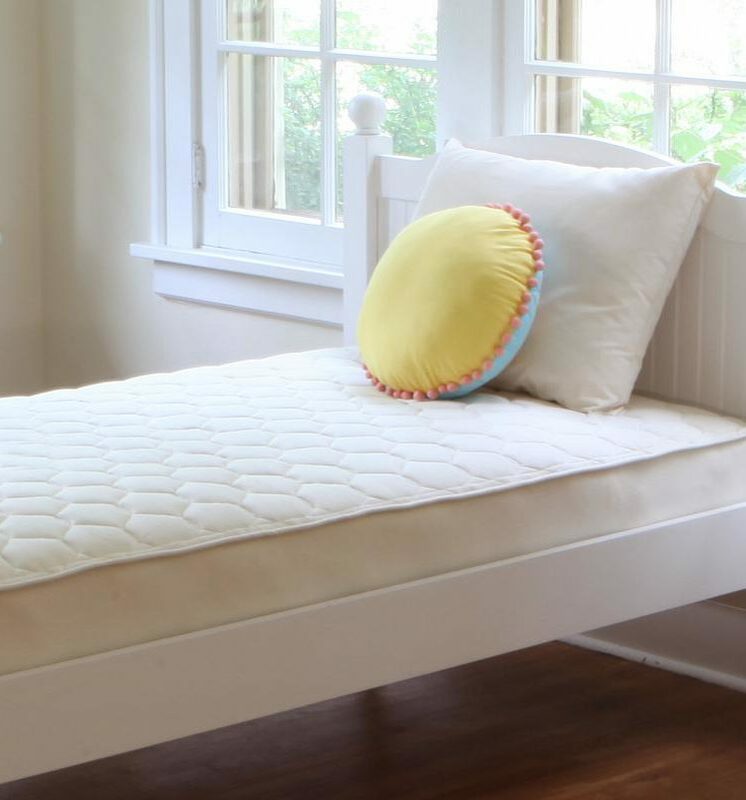 Makes an excellent choice for parents seeking to eliminate potentially harmful chemicals and allergens from their child’s mattress. Naturepedic is a GOTS certified organic mattress manufacturer and has earned the trust of parents and doctors across the country. Naturepedic also meets the strictest GREENGUARD® certification standards for eliminating chemical emissions. 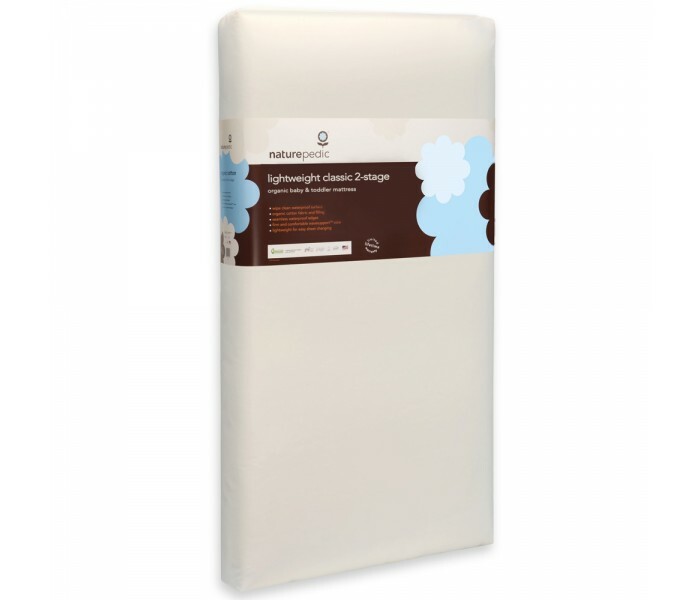 Offers a plush mattress feel with a luxurious sateen finish. No antimony, brominated or chlorinated fire retardants, Polyacrylonitrile (PAN), boric acid, polyurethane foam (including soybean foam), PFCs or antibacterial/biocide treatments. Available in 7″ standard and 4″ low profile versions (made with FSC certified wood).